Record Store Day 2013 is only a few days away, and slowly but surely new music recorded for release on that oh so special day is beginning to make its way online. 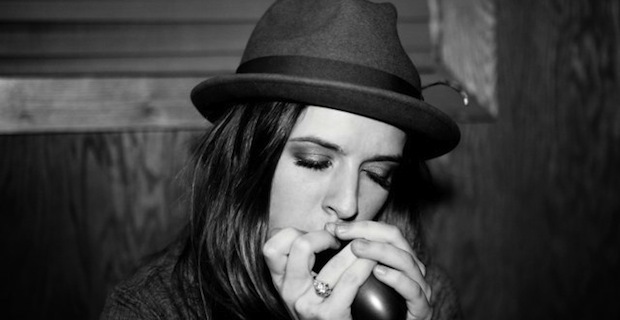 We have held off on posting tracks thus far because nothing really piqued our interest, but then ZZ Ward went and released a new stream that we simply had to share. Serving as the SIDE A for her Record Store Day 7″ release, “Everybody Wants To Be Famous” is a dance floor ready jam that hooks you from the opening moments and refuses to let go. The foot stomp percussion blends wonderfully with Ward’s stripped sound, and her vocals shine as bright as ever. It’s not exactly the kind of song you would expect to win over radio charts, but I bet it will absolutely slay in a live setting. You can stream “Everybody Wants To Be Famous” below. There are over 100 fantastic vinyl releases hitting shelves Saturday, and we want to help you pick out what deserves to be added to your collection. Stay tuned for a UTG LIST covering all the essential RSD releases to appear on the site later this week, and comment below to let us know what you plan on buying this weekend.